Dirt Devil Simpli-Stik Vacuum Just $19.96! Down From $40! For a limited time only! Hurry over to Amazon where you can score this Dirt Devil Simpli-Stik Lightweight Corded Bagless Stick Vacuum for just $19.96 down from $39.99 PLUS FREE shipping with Amazon Prime or for orders over $25! Designed for the way you live. This innovative stick vac is perfect for rugs and hard floors, and it features an easy lift off hand vac. Just detach the hand vac and you are ready for dust, dirt and crumbs on furniture, counters, shelves, upholstery and drapes. An on-board crevice tools allows you to reach tight spaces in corners, around furniture and along the edges of delicate electronics. 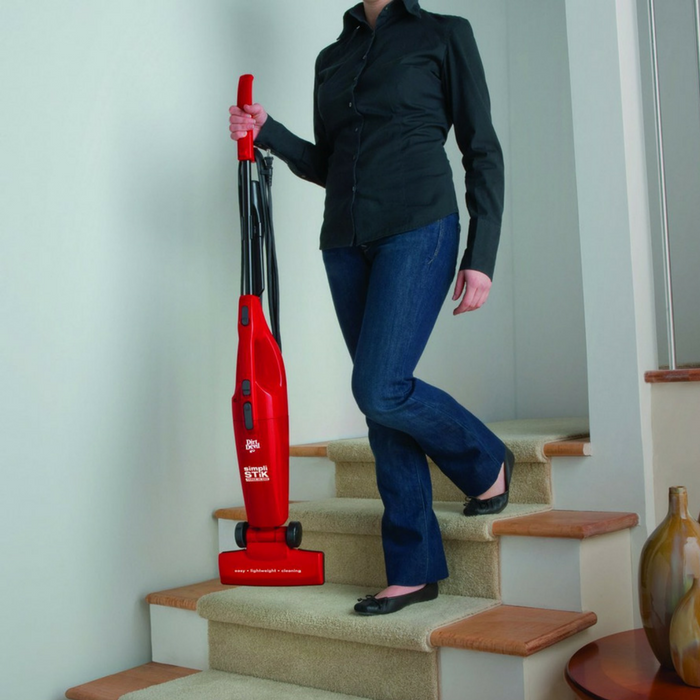 A lightweight design lets you move the vacuum from room to room and up and down stairs. The smart, bagless design is easy to empty. Bissell Bagless Vacuum Just $44.39! Down From $80! PLUS FREE Shipping! At Amazon, you can score this Bissell Bagless Vacuum for just $44.39 down from $79.99 PLUS FREE shipping! 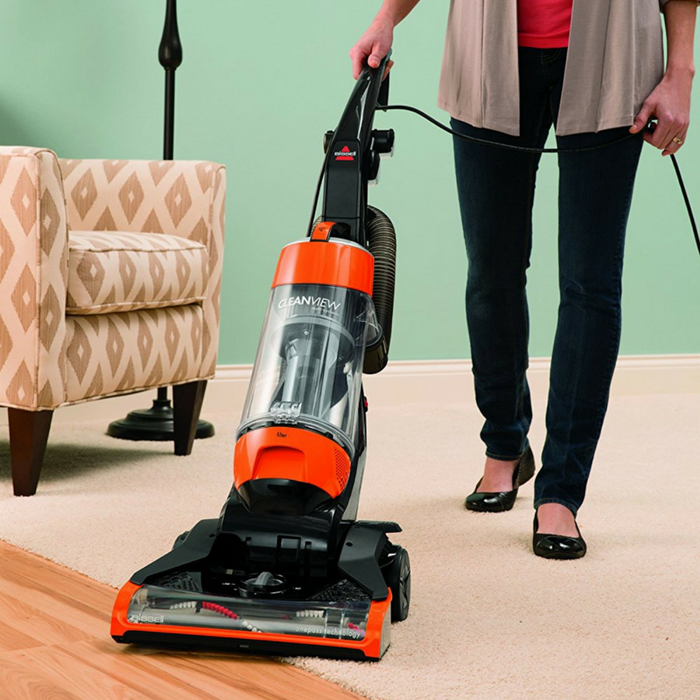 Keep cleaning simple and effective with the BISSELL CleanView Vacuum with OnePass Technology. This lightweight vacuum features OnePass Technology — with powerful suction and an innovative brush design — that cleans on initial pass. * Bottom Easy Empty dirt tank and a washable foam filter make maintenance simple. The premium attachments provide fast and effective cleaning — so you can get on with your day. Bagless Stick Vacuum Just $19.85! Down From $40! At Amazon, you can score this Bagless Stick Vacuum for just $19.85 down from $39.99 PLUS FREE shipping with Amazon Prime or for orders $25 or more! 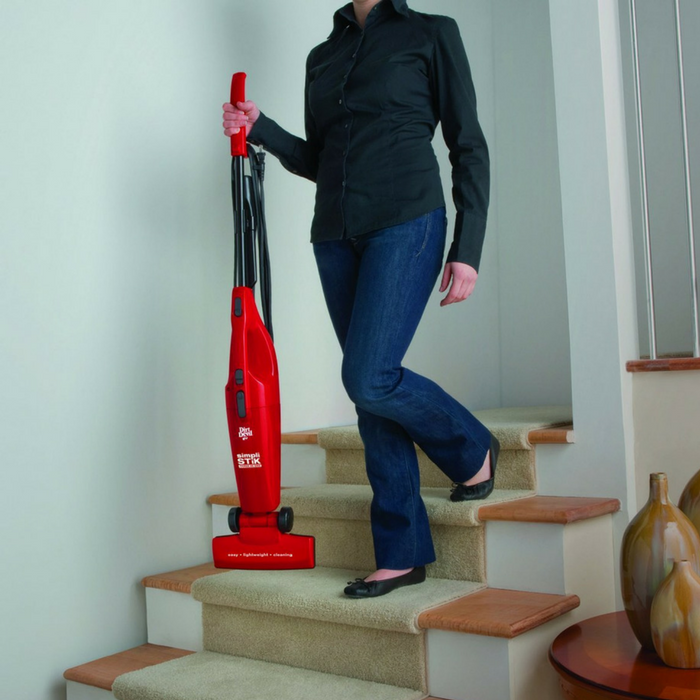 The Dirt Devil Versa Power is a one step solution for quick and convenient cleanups. This versatile unit functions as a stick vac, hand vac, and a utility vac all in one. The vacuum cleaner’s lightweight design makes it simple to transport from room to room, while its easy-empty dirt cup means no more bags to buy. An onboard crevice tool comes included, which allows for cleaning hard to reach areas like between couch cushions, along baseboards, or under furniture and appliances. Great for multi-purpose cleaning.